An elderly woman is dead following a shout out in broad daylight. 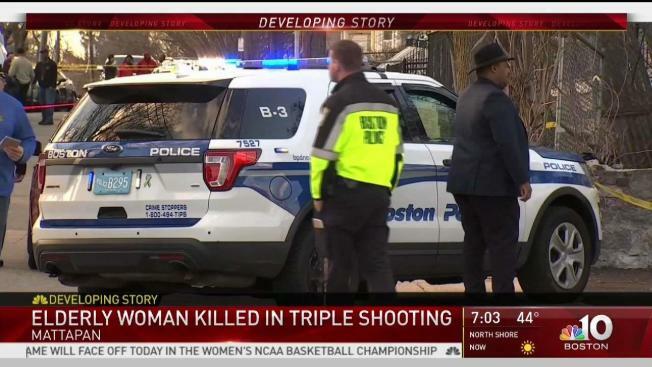 Boston police say an elderly woman was killed Saturday afternoon in a triple shooting in the city's Mattapan neighborhood. The shooting happened in front of 10 Mattapan St. at about 5 p.m. Authorities said the victim, who has not been identified, was not the intended target. The woman was taken to an area hospital where she later died. 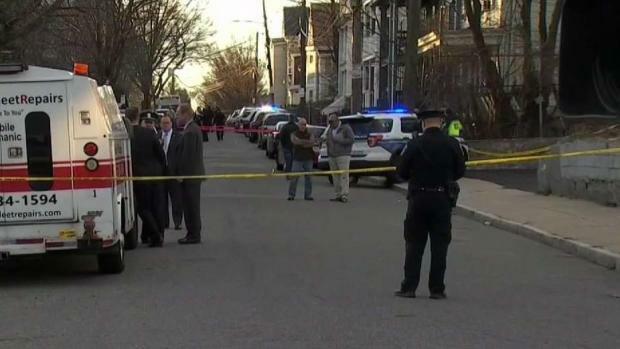 Boston police are searching for suspects after an elderly woman was killed in a triple shooting in the city's Mattapan neighborhood. Two men who were also shot suffered non-life-threatening injuries. "This was an innocent woman who was struck by gunfire. This should not be tolerated," said Boston Police Commissioner William Gross. "I know the neighborhood feels this should not be tolerated and it shouldn't. So if anybody has anything that can help us out please contact us." Gross said officers were going house to house hoping to find evidence that would facilitate the investigation. Police are looking for witnesses as well as video footage. The family, from Barbados, is trying to come to grips with what happened. 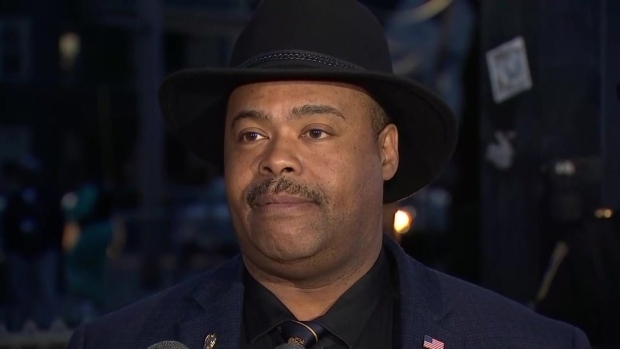 "One of them said, 'we're sick and tired of prayers,' and they're absolutely right," said Suffolk County District Attorney Rachael Rollins. "They deserve accountability. We have to work harder to make sure we have a plan about violence." Anyone with information is urged to call 1 (800) 494-TIPS or text TIP to CRIME (27463). Boston Police Commissioner William Gross spoke Saturday after an elderly woman was killed in a triple shooting in the city's Mattapan neighborhood. "We will be working around the clock to make sure this family gets accountability and we are going to work very hard to make sure our homicide numbers are down," said Rollins.